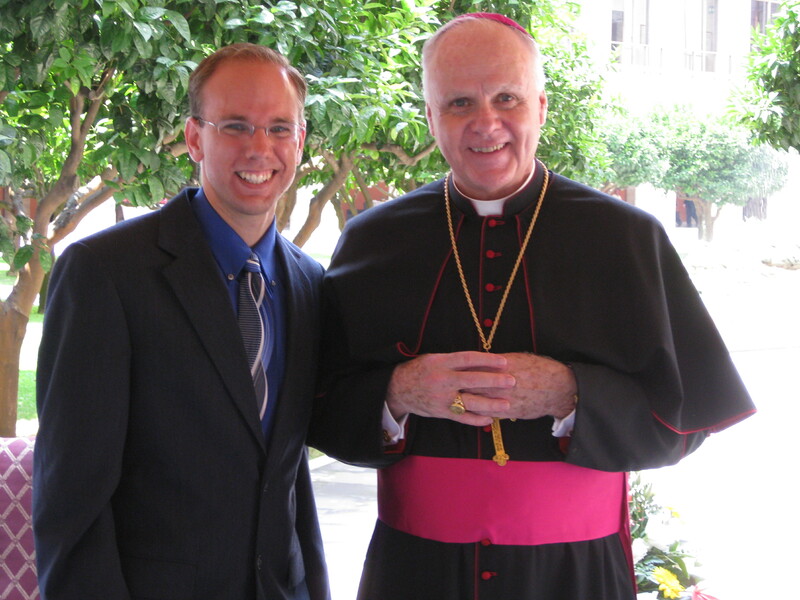 George P. Matysek Jr. with Archbishop Edwin F. O'Brien in Rome, 2008. For the last four years, I’ve had the honor of covering Archbishop Edwin F. O’Brien as one of my main beats at The Catholic Review. I was at St. Peter’s Basilica in Rome when Pope Benedict XVI placed the pallium around Archbishop O’Brien’s neck, conferring the symbol of his office as a metropolitan archbishop. I’ve seen the archbishop testify forcefully against the death penalty in Annapolis and meet with parish and school leaders throughout the Archdiocese of Baltimore. I’ve witnessed our spiritual shepherd quietly encourage seminarians and answer questions of young people thinking about the religious life. I’ve also seen him choke with emotion when reflecting on his close bond with the priests he serves. The archbishop has a well-earned reputation as a serious-minded and devoted leader who gives everything he has in service of a Church he loves. Yet, there’s another side to him – a playful side that endears him those who know him. All of Baltimore first encountered Archbishop O’Brien’s wit at his installation Mass at the Cathedral of Mary Our Queen on Oct. 1, 2007. The archbishop won even louder laughs when he recounted how he gave a copy of his high school yearbook to the editor of The Catholic Review to be used for a “human interest” piece in a special edition about the installation. Unknown to the archbishop, his junior year report card was tucked inside the yearbook. A member of The Catholic Review staff informed the archbishop of the discovery – “gleefully” reminding the new archbishop that his lowest grade that year was in religion. “Even my Irish imagination had a little difficulty in putting a good spin on that,” the archbishop said with a smile. “Knowledge of the faith is so very important, but what you do with that knowledge is ever so much more important,” he said. “Can we ask if you’re giving anything up or doing something special for Lent?” I ventured tentatively as the archbishop stood at the top of the steps. The archbishop paused for a second, exhaled and looked taken aback. Then mischief engulfed his face completely. My fellow reporters broke into laughter. I did too, although my face was crimson and my heart was beating faster. “Trying to be more charitable – that’s the main thing for all of us, I think,” Archbishop O’Brien said, showing some charity after he had zinged me. Just a few weeks later, I happened to exit the Cathedral of Mary Our Queen through a side door at the same time as the archbishop. 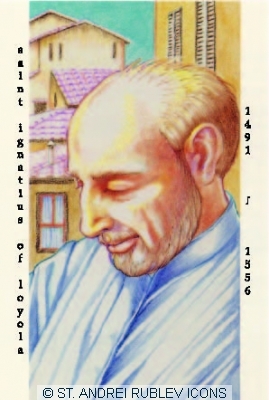 He had just finished celebrating the Holy Thursday Mass. As we walked a few feet together, he asked me if I was married or single. When I said I was single, he noted that he knew that was the case because I’m a person who’s always smiling. About a year later, at the end of the May 3, 2009 dedication liturgy for the new St. Ann Church in Grantsville, one of the owners of the nearby Newman Funeral Home surprised parishioners by giving their pastor a check for $18,000. The gift was the amount the parish had paid the funeral home for allowing the faith community to worship there after their former church was destroyed in a 2006 fire. The owner wanted to donate the money to the parish as a sign of his commitment to the religious community. Thanking the donor for the gracious gesture, Father James Hannon turned to Archbishop O’Brien and joked that he would give him the check in the knowledge that the archbishop would certainly turn it over to the parish. When the pastor sat down, Archbishop O’Brien solemnly arose from the presider’s chair and walked over to the lectern as if to continue the liturgy. Without saying a word, he picked up the check and walked back to his seat while smiling mischievously. Waves of laughter from the congregation built to a crescendo before the archbishop finally made a detour and handed the check to Father Hannon. I’m going to miss Archbishop O’Brien’s good humor. More importantly, I’m going to miss his solid leadership, his model of Christian living and his sense of pastoral outreach. 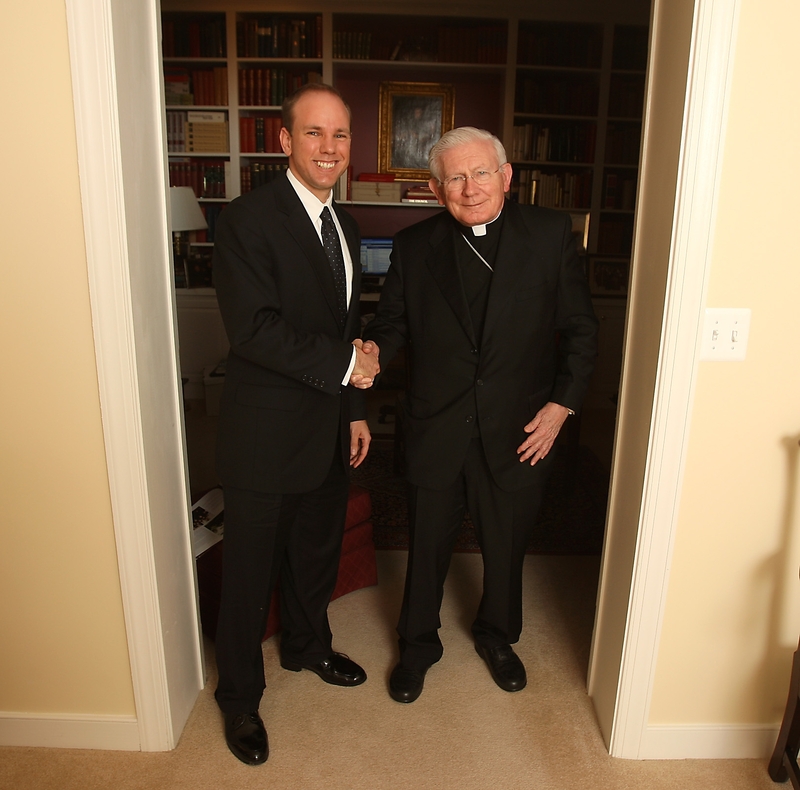 Archbishop O’Brien truly cared for the people he served. He had to make some tough calls during his tenure. He did what he thought was best to build up the Church of Baltimore. God bless you, Archbishop O’Brien, as you begin a new phase in your ministry. Click here for coverage of the archbishop’s appointment to Rome. 8/31 UPDATE: Jennifer Williams, my friend and colleague at The Catholic Review, has some of her own memories of Archbishop O’Brien’s humor posted here. During a Baltimore talk on faith and humor at the end of July, Father Martin took some questions from the audience. As almost always happens, the first one was about what it’s like to appear with Stephen Colbert on national television. 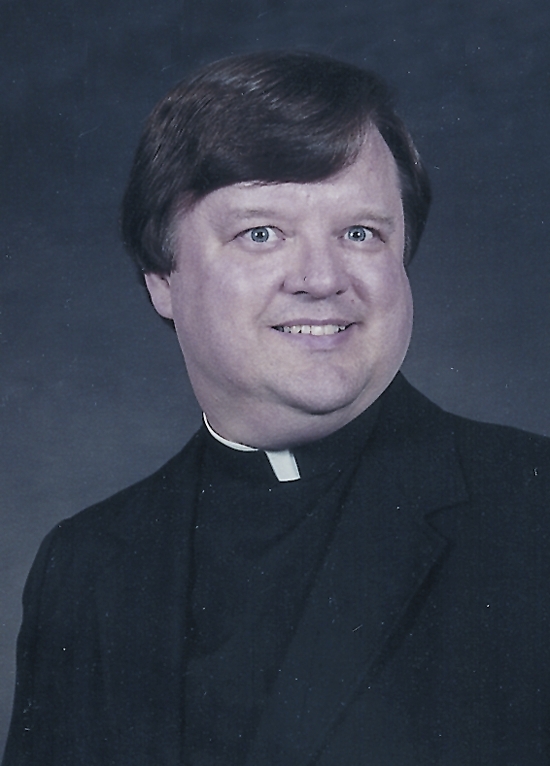 Father Martin described how he was first invited onto the program. He outlined how his appearances on the popular show might be considered a form of evangelization. He also noted that Mr. Colbert is “very Catholic” – to the point of even wearing a scapular. 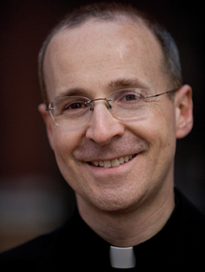 Check out Father Martin on Stephen Colbert in the following clip. For more from Father Martin’s talk, click here. This little anecdote has been sitting in my notebook since March 17, so it’s about time I shared it with you. It comes from a story recounted by Redemptorist Father John Murray during his St. Patty’s Day homily at St. Patrick in Fells Point. Father Murray remembered that not long after St. Patrick Church suffered a devastating fire in 1983 and was later restored, a parishioner who had been away from the church for a long time returned to the historic Broadway parish. He had heard about St. Patrick’s reopening, Father Murray said, and wanted to confess his sins and get back on a spiritual track. The man came early to Mass one day and headed straight for the confessional. He opened the confessional door and sat down in a large easy chair. Beside the chair was a bottle of Jameson whiskey and on the left was a small television designated for Orioles and Colts games. He closed the door and waited for a priest. That’s when the now-deceased Father Blair Raum, then the pastor, opened the door and saw the man sitting in the cushy chair.